PIONEER: Annette Kellerman & The One Piece Suit — lady in shred. In the early 1900's women were expected to perform all these acts in pantaloons and dress combinations until Kellerman began wearing a fitted one-piece. 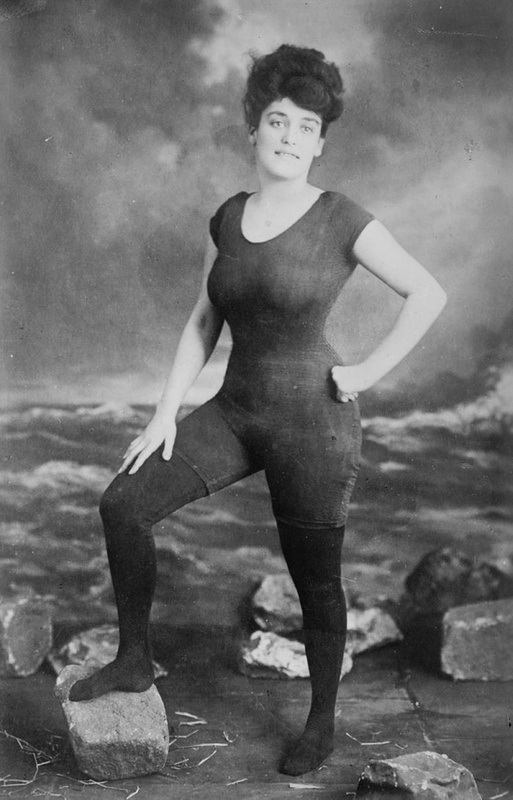 In 1907, she was arrested for indecency, but she persevered and today we have Kellerman to thank for functional women's swimwear.